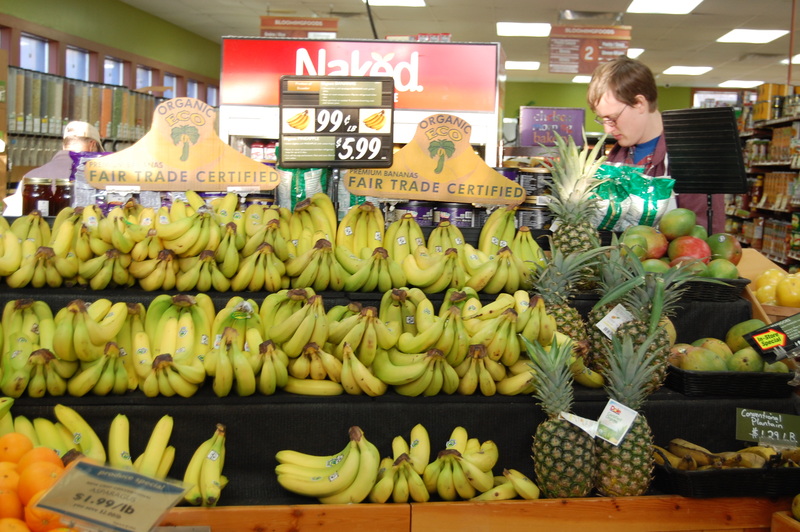 The Co-op difference is easy to see when walking into Mark Mulcahy’s classroom – a produce department at Bloomingfoods Co-op in Bloomington, Indiana. 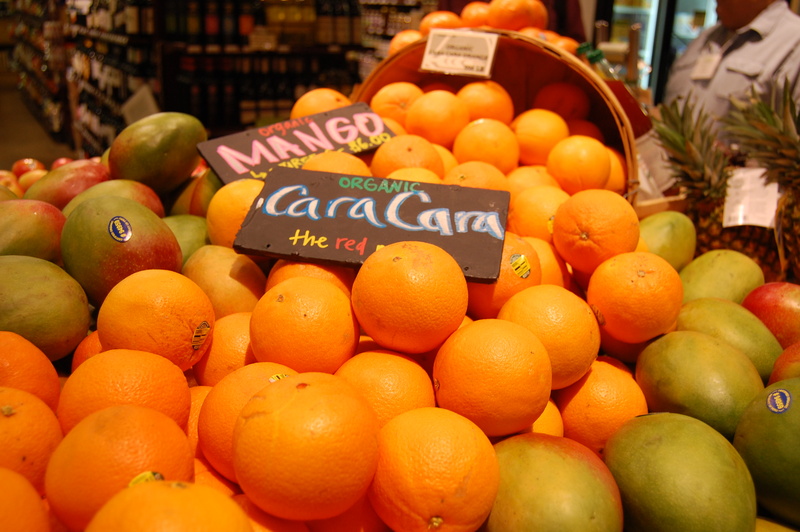 It was apparent, by the cascading sets of greens and flowing rivers of artfully arranged and delicious fruit, that a lot of loving time and attention had gone into creating a delightful shopping experience for the customer. Providing one’s community with the highest quality great tasting produce (usually organic) is a typical food co-op mission and one that we intend to offer as soon as we get up & running. Another goal is to clearly inform consumers about their food choices and of course buy from local farmer’s whenever possible. 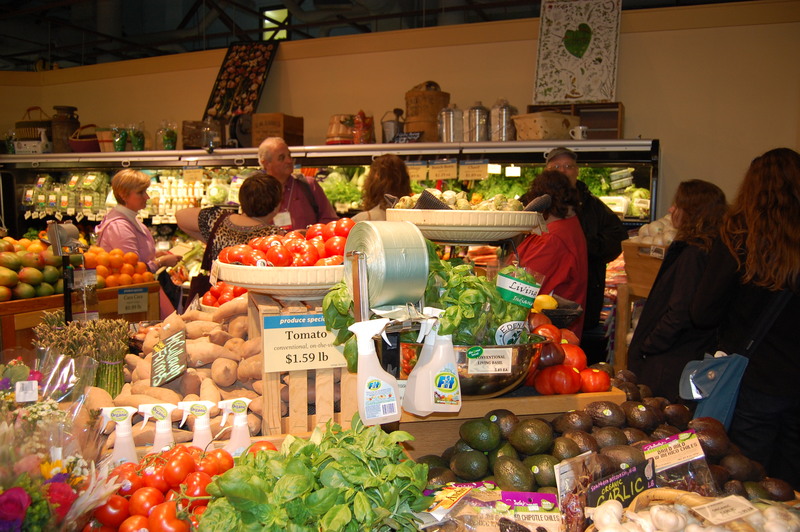 All together, the Co-op produce department offers the most pleasurable shopping experience in town. Cooperators from around the country had the good fortune to participate in the annual “Up & Running, Up & Coming Food Co-op Start Up Conference” in Bloomington, Indiana earlier this March. Naturally, our Alaskan group had traveled the farthest. A day was spent learning to create meat, cheese, produce and deli departments that offer delicious and high quality affordable food that is healthy and sustainable grown. The treat at the end of the day was a delicious repast at “Finch’s Brasserie”, a restaurant that features local and organic products from area farms and cheese artisans. The following two days were full of learning how the “co-op difference” applies to cooperative board leadership, store design, cooperative finance and other timely and relevant topics. Workshops presented by widely known industry experts as well as Cooperators presently working in cooperative food stores taught us that we can make a difference in the way we do business. That difference being that it is possible to operate in a way that is fair to consumers and employees, ecologically sustainable, concerned about community and at the same time economically profitable. This is the kind of business, owned by us, that one day we will see become a valuable resource to our community. And the most delicious lesson? Well………. 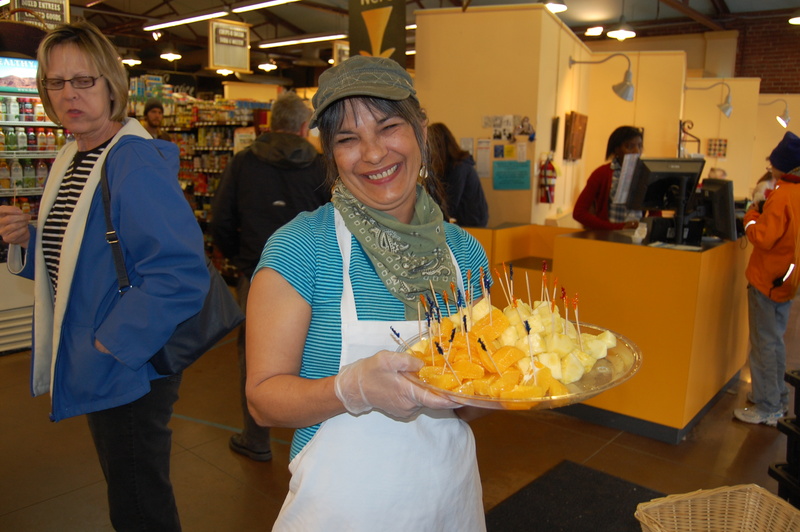 passing out daily fruit samples is a really fun part of the job!